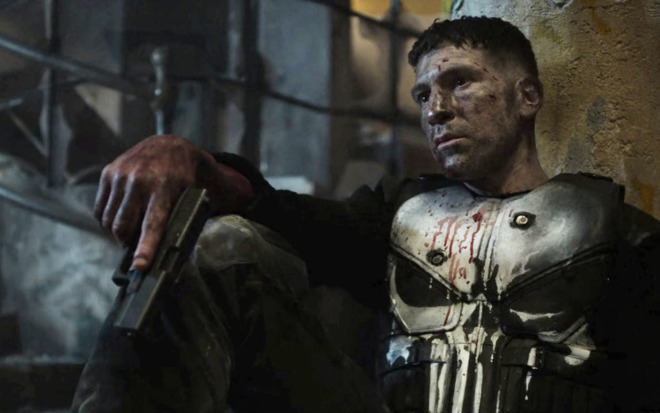 Netflix and Marvel's 'The Punisher,' now dead because of Disney+. "Both companies are world class consumer brands and we're excited to compete," Netflix wrote in a first-quarter earnings report, highlighting revenues up 22.2 percent year-over-year at $4.5 billion. Studios and viewers, it said, will "reap the rewards of many companies vying to provide a great video experience for audiences." Neither of the new rivals will "materially affect our growth," Netflix added. The on-demand market has room for multiple companies, it argued, and Netflix's content is sufficiently unique. Netflix was the first to popularize on-demand video streaming and is now available in over 190 countries, the only major exception being China. Many of its TV shows have become cultural institutions. Disney+, launching Nov. 12, will cost just $6.99 per month or $69.99 per year, with titles from the likes of Marvel, Pixar and Lucasfilm. At least some of these are disappearing from the Netflix catalog or were never there in the first place — to the anger of fans, Disney+ has also resulted in the cancellation of Marvel Netflix shows like "Daredevil" and "The Punisher." Apple TV+ is due sometime this fall. Many details are still under wraps, but Apple is counting on a barrage of original shows with creators like Steven Spielberg, J.J. Abrams, and Oprah Winfrey. It's unclear what if any licensed material will be available.